As Maroochydore's premiere Ironman 4X4 dealer, we carry a full range of Ironman 4X4 accessories as well as a range of complementary brands to get you off the beaten track. 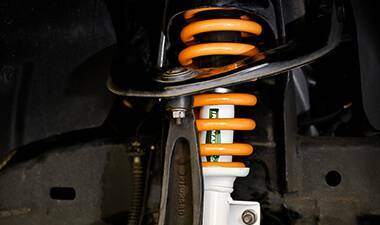 With over 50 years of suspension experience, the Ironman 4X4 range offers a complete solution of suspension kits for towing, off-road, load carrying and OEM replacement. From chairs, fridges and swags to camp showers, bush toilets and awnings - our range of outdoor and camping equipment are all available to view in our interactive showroom. 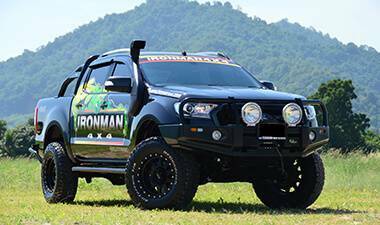 Located on Sugar Road Maroochydore we are the sole distributor for Iron Man 4x4 products on the Sunshine Coast. We also stock a large range of camping and outdoor equipment for the next time you go bush with the family. 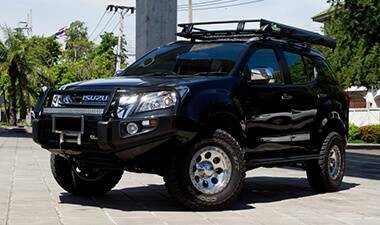 Sunshine Coast 4x4 and Outdoor – your No 1 choice for 4x4 accessory sales and installation.